Unsurprising to insomniacs, television addicts, or anyone who spends any time on the internet, the commercials for As Seen On TV products are some of the best things produced for television—intentional or not. From the Vince-sanity that was the Slap Chop guy, to the unintended hilarity of the Shake Weight, to the absolute inability of so many people to do simple tasks on their own (see, EZ Butter; Apple Pro-Peeler; Press 2 Paste: Hands-Free Toothpaste Dispenser—we could go on), As Seen On TV items have provided horrible products with excellent commercials for years. More hardworking than hilarious, Team Ford is proud to offer commercial vehicles—a different type of commercial—from the largest commercial vehicle fleet in Edmonton. So get comfy in your Snuggie, and read on to learn more about Team Ford’s commercial vehicles.  As one of Edmonton’s biggest Ford dealers, with an extensive commercial inventory, Team Ford knows about the importance of having a streamlined plan for your business. That’s why we have a dedicated fleet department, as well as a fleet service department. We will coordinate directly with your business to ensure that your vehicles can get serviced as quickly as possible, and at a time that works for you, because when your vehicles aren’t on the road—you aren’t making money. But wait, that’s not all! We’ve also got experience in the fleet field; our Team Ford Truck Centre employees have over 250 combined years of experience in the commercial and fleet vehicle business. Say goodbye to unhappy customers when you’ve got well serviced commercial vehicles from Team Ford. Having trouble getting your products to your customers? Well, that’s where the Ford Transit comes in! Highly customizable, you can choose your wheelbase, choose your length, choose your roof height, and choose your engine. Upfitting options? We’ve got ‘em. *Smacks hood of 2019 Transit* This baby can tow up to 7,500 lbs, plus its lightweight unibody design means it’s durable enough to handle whatever you throw at it. Not enough tech for you? Well wait, there’s more! The 2019 Ford Transit Connect is set up to keep you connected to your commercial vehicles while they’re on the street, thanks to the FordPass™ app. Roadside assistance, remote starting, locking, and unlocking, as well as the ability to book service appointments right from your phone—among other capabilities—means that information about your business’ vehicles is always at the tip of your fingers. Now, we aren’t going to tell you that if you act now and buy one commercial vehicle from Team Ford we’ll throw in the second one free—but our fleet department works with businesses of all sizes and budgets. If you’re unsure if your business would qualify for a fleet discount, or if commercial vehicles are right for you, just contact us today!